MANILA -- With just two matches left in their Group G schedule, Global Cebu knew that they have to win all of them to keep their AFC Cup participation going as they seek revenge on Thanh Hoa in a battle of the bottom two on Wednesday night. 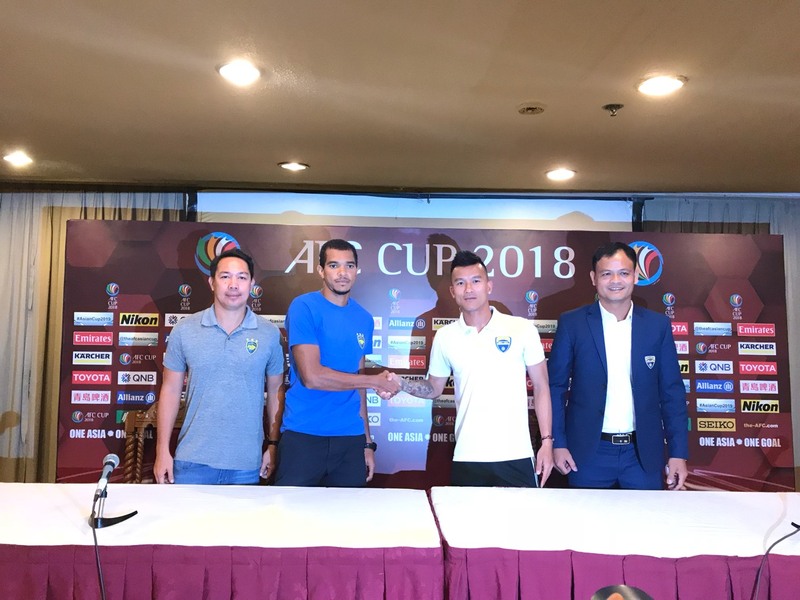 Barely a month after keeping their campaign alive at the death, manager Marjo Allado hopes that end their home stand with a payback against the Vietnamese visitors who beat them in their opener two months ago. Both sides are tied at the bottom with four points, and a win will give them a glimmer of hope in the race to second. Group leaders Yangon take on Bali earlier Wednesday. Darryl Roberts echoed the statements of his gaffer as he hopes that they produce the needed points if they wish to stay in the competition. "It doesn't matter how it comes. At the end of the day, the result matters so we need to execute the coach's plan," Roberts said about their chances on the side that beat them by the smallest of scorelines to open the Group. With both teams coming from setbacks in the domestic front--Cebu dropped their second straight PFL tiff in Laguna, Allado has confidence and home field advantage on his side, as they never lost in the group stage in Rizal. "Now we tried to motivate the players for this game. I just keep on telling them after the training sessions to focus on this match, because we have a chance to finish at least second if we win the last two games," he concluded, as he learned that the visiting side are still reeling from the shock exit of Marian Mihail.